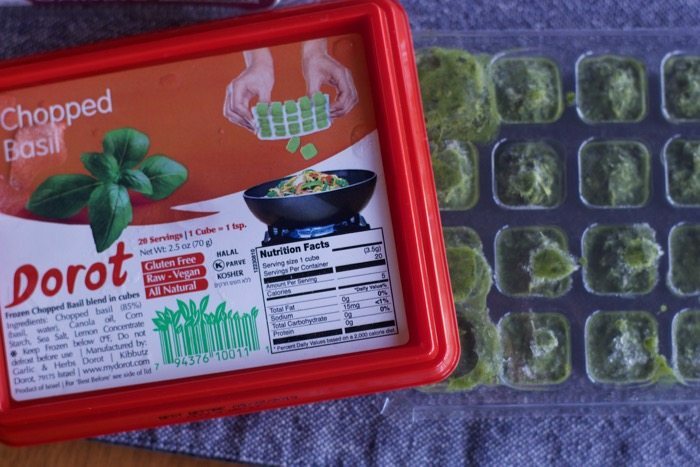 What are Dorot Gardens Frozen Herbs? Dorot Gardens provides the perfect amount of herbs, with no prep or clean up! Imagine not having to chop garlic and have that lingering smell on your cutting boards. Just pop out the needed amount right into your dishes. Fresh Herbs are chopped perfect to add to soups and stews in seconds. Doesn’t this sound having a sous chef in your own home? HOW FRESH ARE THESE HERBS: At peak freshness, Dorot Gardens pull their products from the fields, process and flash freeze into their convenient trays within 90 minutes of harvest. With a two-year shelf life, you can have fresh garlic, onions, and herbs year round. Nothing replaces fresh herbs from the garden, however in Virginia winter means no herb garden. I am totally going back to buy the frozen ginger. How often do you buy fresh ginger for a recipe, to only throw away the rest. Now you can have these flavors in convenient little cubes to use at your leisure. 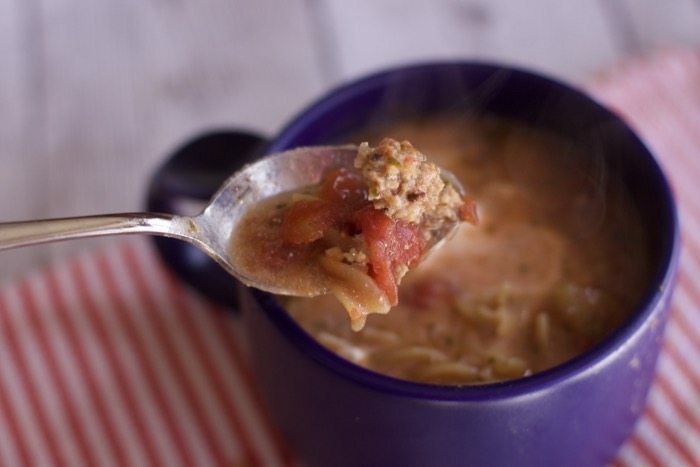 This soup recipe is a simple weeknight meal that the kids will go crazy for. You can choose either turkey, pork or even vegetarian Italian sausage as your protein. 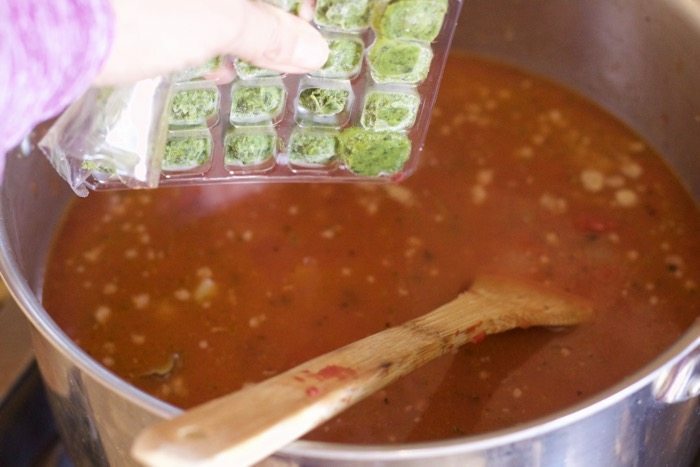 Just pop in your basil cubes at the end and allow them to slowly defrost into your soup. 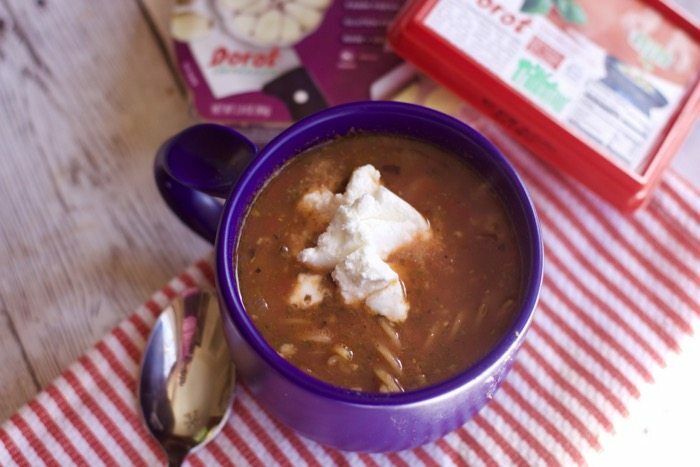 Once the soup is finished, add a generous dollop of the ricotta mixture. It will slowly melt into your lasagna soup so we kept more on hand. Since I made this a few hours before dinner, I did not add the pasta to the soup. I boiled water in a separate pot and then added them to each bowl and ladled the warm soup on top. 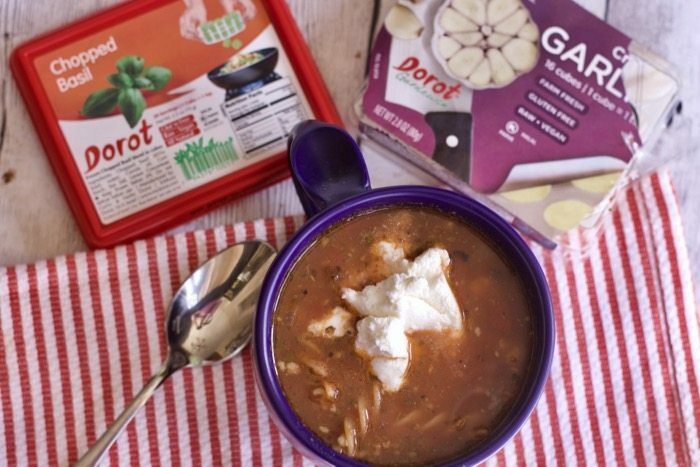 GRAB YOUR COUPON: Now it’s your turn to grab a $1 off coupon to try the DOROT Farms herbs yourself. Heat olive oil in a large pot over medium heat. Cook and stir sausage in hot oil until slightly brown and crumbly, about 5 minutes. Stir onion in sausage; cook and stir until softened, about 6 minutes. Stir garlic, oregano, and red pepper flakes into onion mixture; cook and stir until fragrant, about 1 minute. Add tomato paste; cook and stir until mixture has a brick-red color, 3 to 4 minutes. 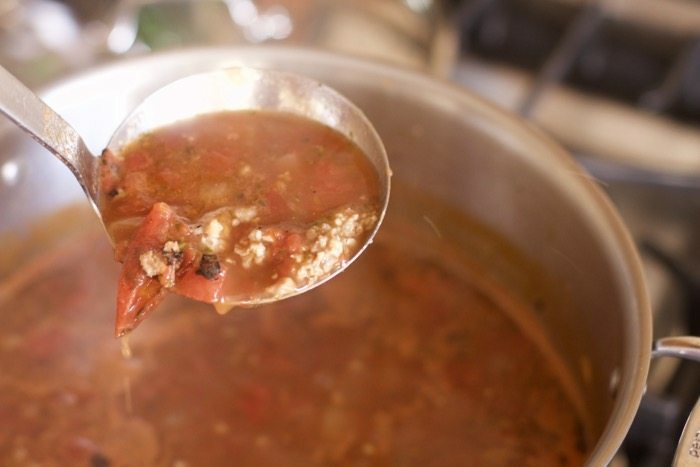 Pour chicken stock, diced tomatoes, and bay leaves into pot; bring to a boil, reduce heat to medium-low, and simmer until flavors combine, about 30 minutes. Add rotini to pot and cook until tender yet firm to the bite, about 8 minutes; drain. Stir in basil and season soup with salt and black pepper. Stir ricotta cheese, Parmesan cheese, 1/4 teaspoon salt, and pinch black pepper in a bowl until well-combined. Place a dollop of cheese mixture in the bottom of a soup bowl. 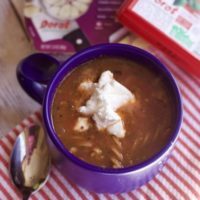 Sprinkle some mozzarella cheese over cheese mixture and ladle soup over the top. Repeat with remaining cheese mixture, mozzarella, and soup. Thank you Trish. I hope you enjoy it as much as we did.